When you plan a wedding, finding the best venue is usually the first and most important question to ask yourself. Where you will marry will have an impact on many things including the date of the wedding and travel arrangements for your guests. If it is a destination wedding, this perspective seems even more daunting as you often do not have the occasion to view multiple venues before your target dates get booked by someone else. That is why industry awards are quite useful for helping discerning brides and grooms to select the best of best venues. After being named by CNN and Luxworldwide among the ten best wedding venues in the world, we are very proud to be named by Wedding sparrow among their top 20 best wedding venues ! Again we are the only French venue and only French chateau to be featured in these prestigious rankings (and we did not pay anyone to be featured, it is not hidden advertising). 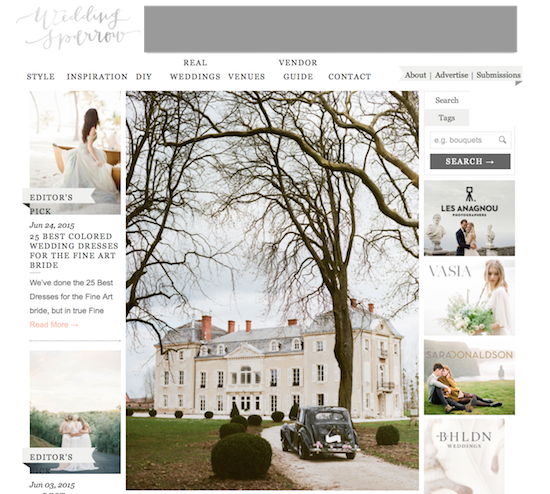 Wedding sparrow is a very reputable blog featuring the most enchanting weddings captured by the best film photographers including Sylvie Gil who is the author of the beautiful picture featured in the article. This picture was shot during the professional photography workshop organized by Sylvie. This workshop was incredibly beautiful and it was featured in many prestigious wedding blogs like stylemepretty and lamarieeauxpiedsnus.com (the premiere blog for the French brides). This was in March thus the trees were still a bit bare but Sylvie just came back last week and with shooting the same angle, she got an even better image (see below). 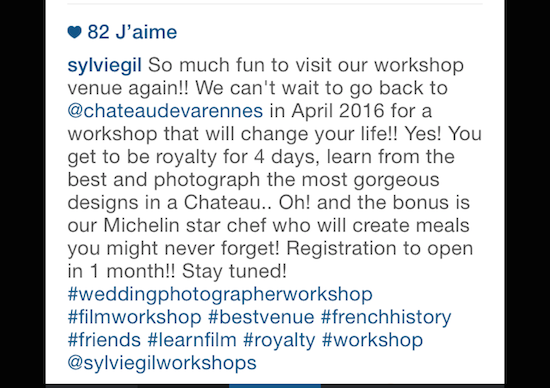 It was also a good opportunity to announce on instagram her next workshop which will be hosted again by us next April. 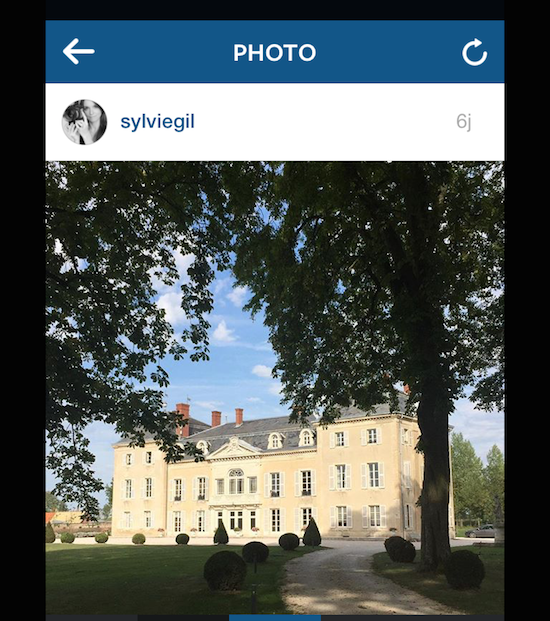 Thank you Sylvie, we are looking forward to getting even more gorgeous images from you and your attendees !